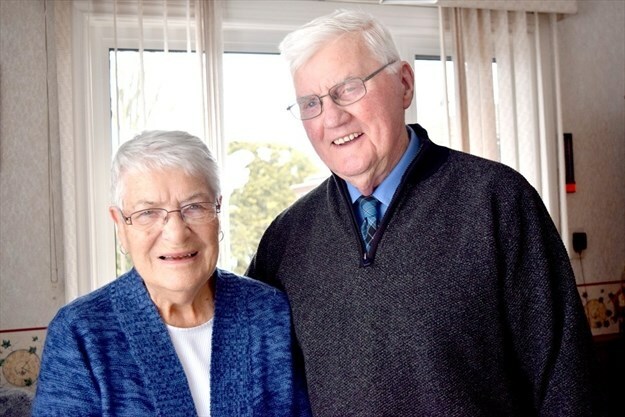 Leo Hughes at home with his wife Margaret. . Photo courtesy of Derek Dunn/Metroland. 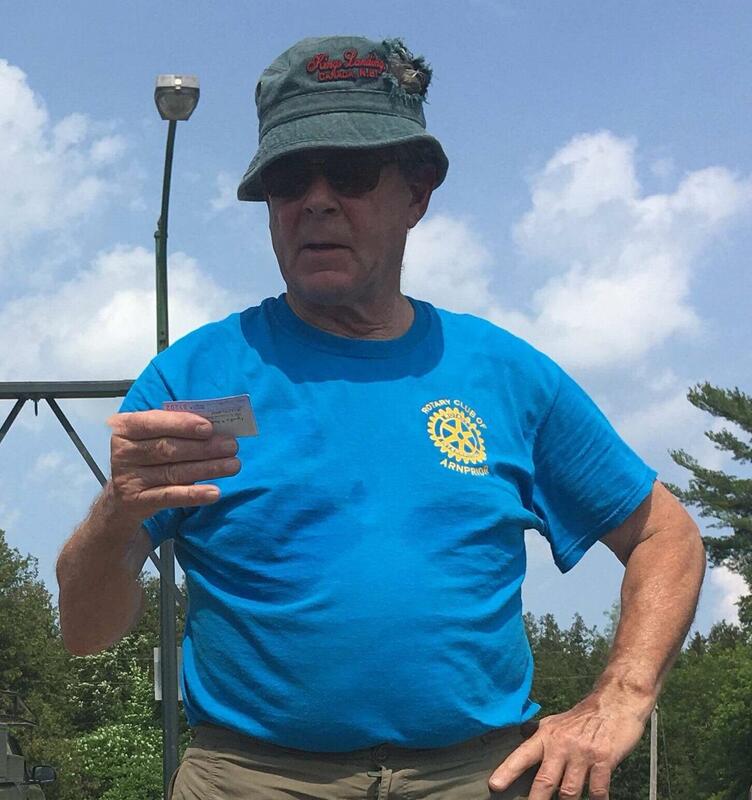 Her Excellency the Right Honourable Julie Payette, Governor General of Canada and Queen Elizabeth II’s representative, has granted the Sovereign’s Medal for Volunteers to Rotarian Leo Hughes of Arnprior. The Sovereign’s Medal for Volunteers is a Canadian decoration which recognizes the exceptional volunteer achievements of Canadians from across the country in a wide range of fields and pays tribute to the dedication and commitment of volunteers. 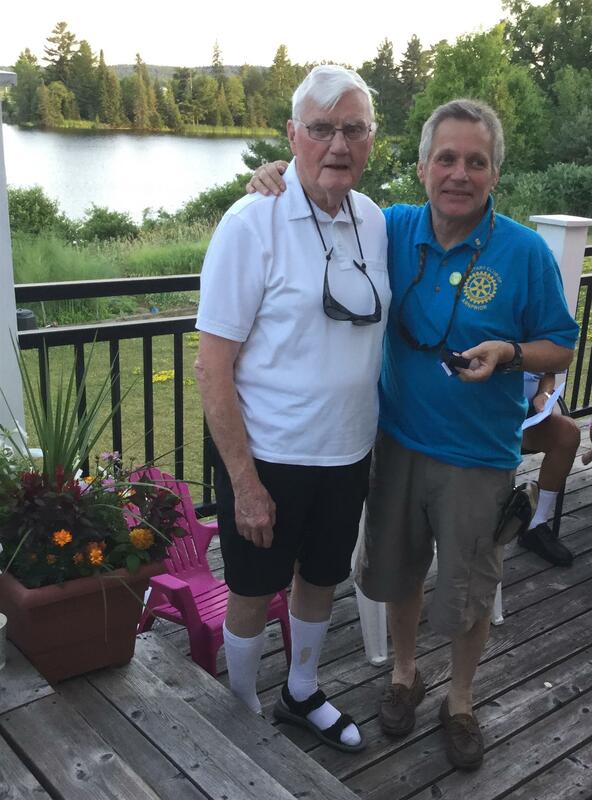 The Sovereign’s Medal for Volunteers will be awarded to the Reverend Doctor Leo Hughes during a ceremony hosted by the Rotary Club of Arnprior on May 23rd. 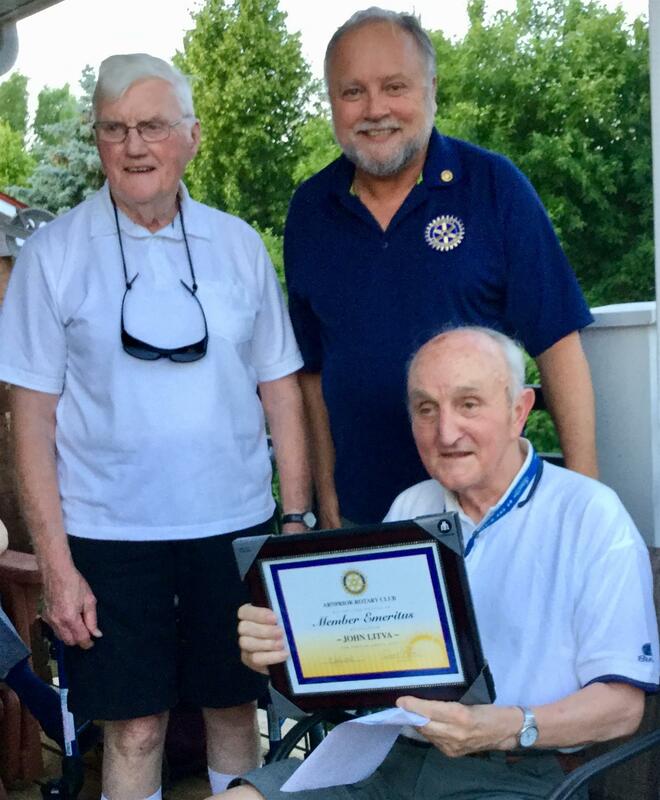 The 87-year-old Mr. Hughes has been an exceptional volunteer in the community, co-founding the Arnprior branch of the Rotary Club, providing support to the local Legion and veterans and for years as reverend of St. Andrews Presbyterian Church. 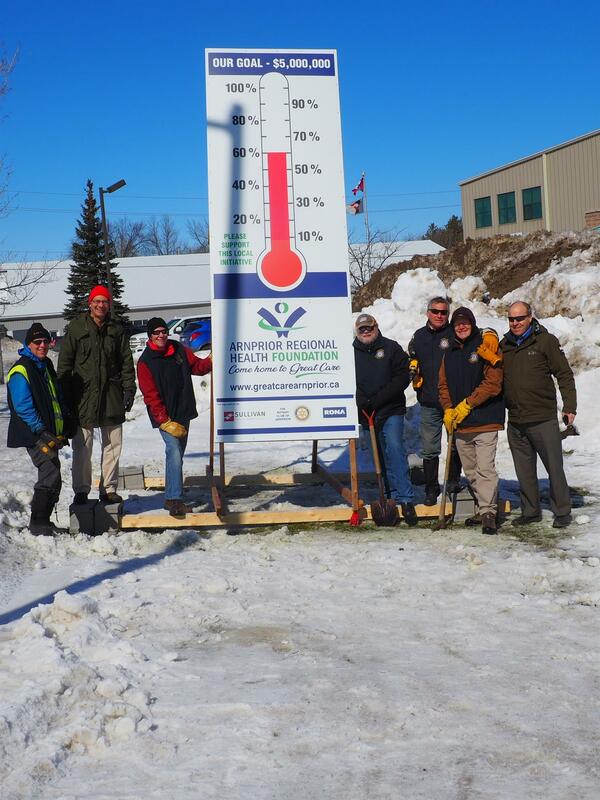 On a chilly Monday morning in March, several members from the Rotary Club of Arnprior, came with their shovels, picks and hand tools to put up two Grove Fundraising Campaign progress signs (aka the Thermometers). The first Grove Thermometer sign is now located on Madawaska Blvd in front of RONA whilst the second sign went up on Daniel Street at Desjardins Insurance (formerly State Farm Insurance) across from Canadian Tire). Thanks to the following, Arnprior Regional Health Foundation for providing the supplies, Wayne Croft for the construction of these signs, RONA/Sullivan’s for donating the materials and cement blocks to hold the signs in position and Robert Hughes from Hughes Brittle Printing for the printing of the signs and providing assistance in delivering the structures to the sites. The campaign goal of the Arnprior District Hospital is to raise $5 million towards the Grove Nursing Home of which $4 million is needed to help build the new Home and $1 million for the purchase of new hospital medical equipment. Photograph courtesy of Vila Smith (Rotarian). A.J. Charbonneau Public School in Arnprior offers a variety of programs and services that help students succeed at school. 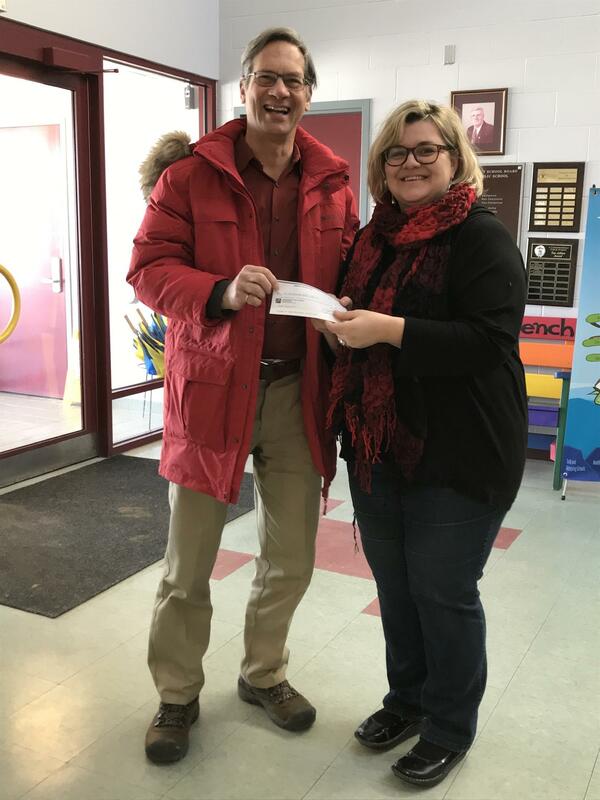 The school has been offering a Snack Program for the past few years, with the assistance of the Renfrew County Food for learning grant and community partners. They offer healthy snacks at both nutrition breaks, prepared by their life skills program. This program is offered to all grades, JK through Grade 8. By promoting healthy eating and providing nutrition programs in school settings, students have the potential of achieving optimal health, growth and intellectual development. Many children come to school without breakfast, for a variety of reasons. This translates into a child’s inability to concentrate, increased restlessness and disruptive behavior, which affects the learning conditions in the classroom. The Rotary Club of Arnprior is pleased to support this program and seen here presenting a cheque to Ms. Lisa Murphy, Principal of A.J. Charbonneau, is President Elect and Foundation Chair Gerhard Peters. The Paul Harris Fellowship Award is one of the highest honours Rotary can bestow upon a person. Recipients are Rotarians and community professionals, in recognition of their outstanding contributions. 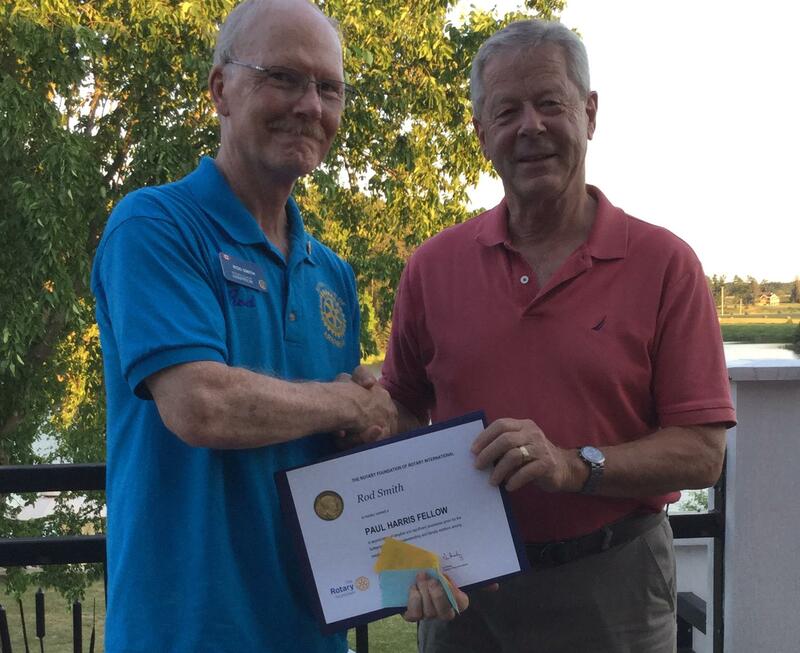 Several Rotary Club of Arnprior members were awarded the Paul Harris Fellowship on Monday during the club's annual changeover meeting at the residence of Rod & Vila Smith’s . This year the award went to three Rotarians. 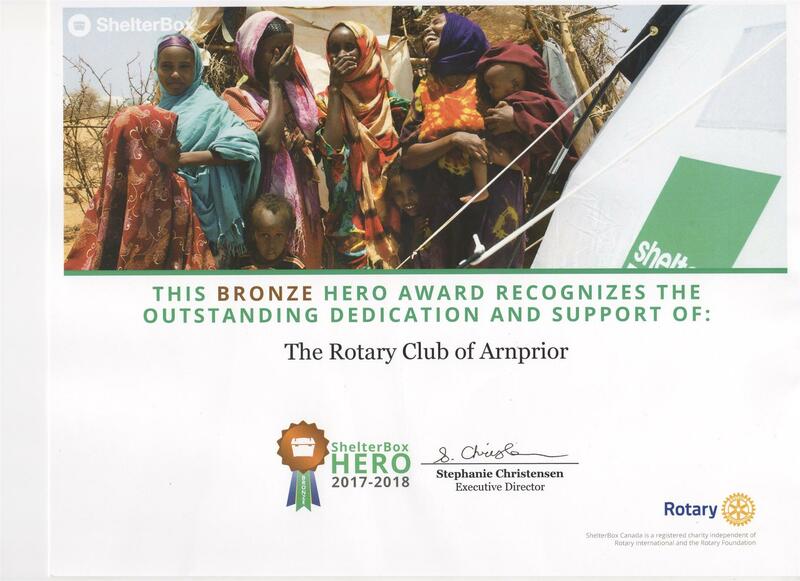 They were Dave Palmer for his contribution to the Rotary Foundation, Rod Smith and Mike Steeves for “service above self.” These Rotarians have joined past and present Rotarians in receiving this prestigious honour. 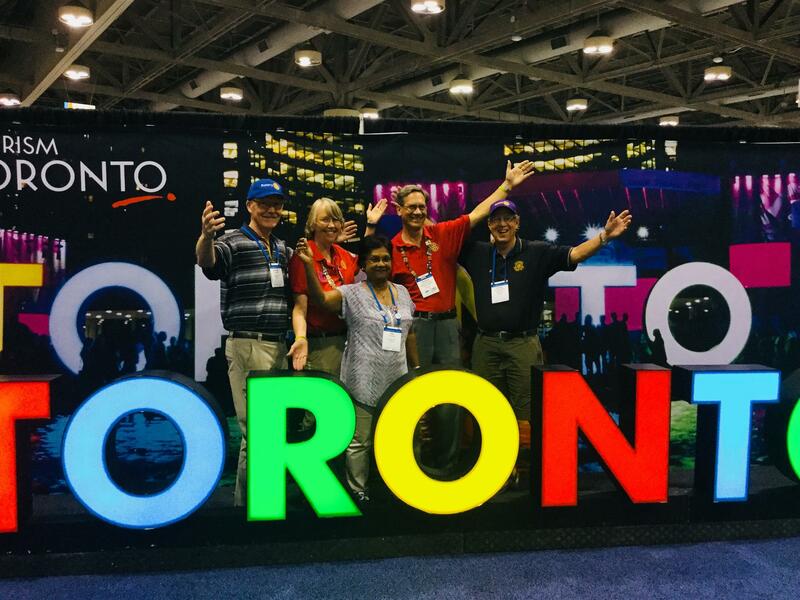 5 members from the Rotary Club of Arnprior are attending the 109th Rotary Convention in Toronto. 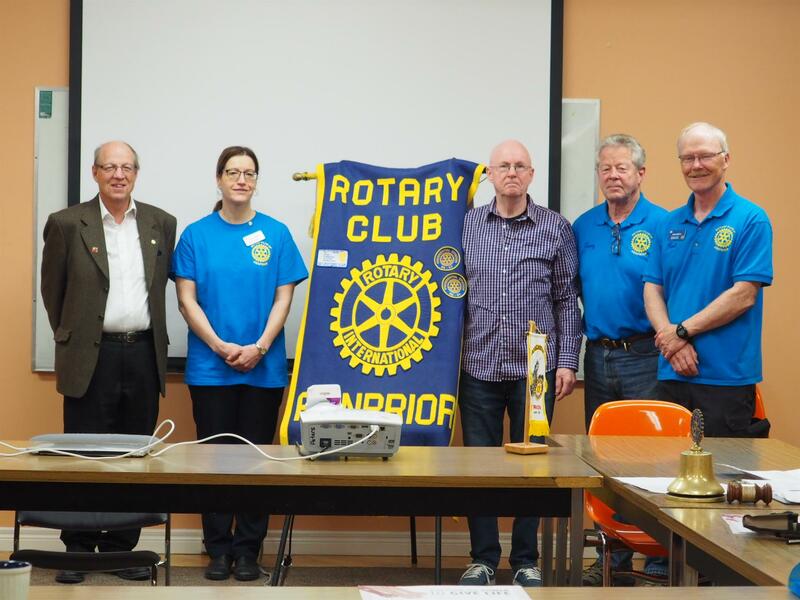 On June 4th 2018, the Rotary Club of Arnprior welcomed two new members with the induction of Larry Moher and Diana Tomazin. Terry welcomed Larry to the Club with a brief introduction. 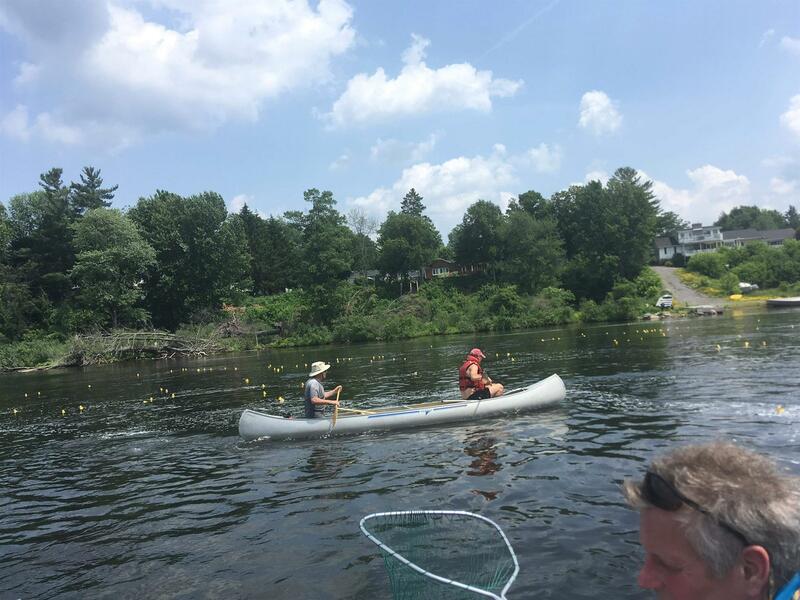 Larry grew up in Ottawa and pursued a career in electrical merchandise sales. 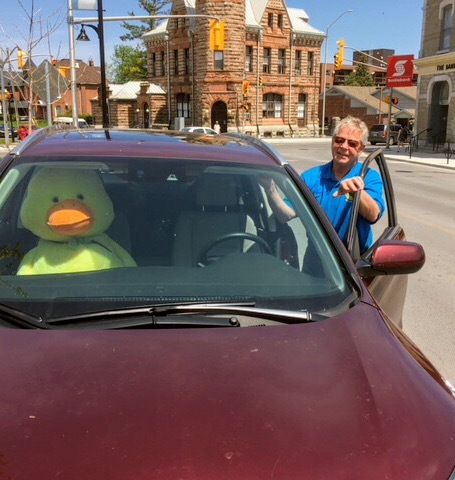 After his retirement in 2008 he moved to Arnprior where he works part-time at Home Hardware. Larry is an avid traveller and has made 6 major overseas trips. Larry particularly likes the international focus of Rotary and hopes to get actively involved with Rotary. 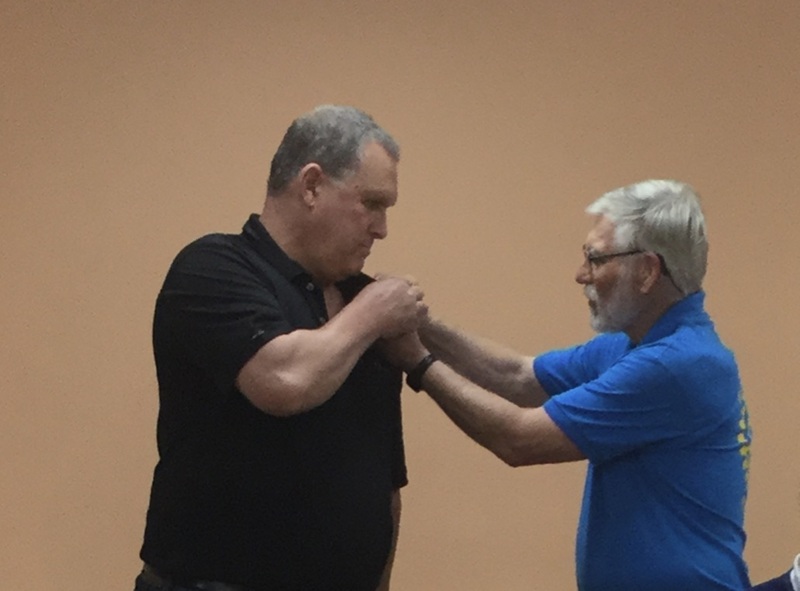 Terry Dawson presented Larry with a Rotary pin and badge. Larry will be mentored by Terry. Bruce Buie welcomed Diana to the Club with a brief introduction. 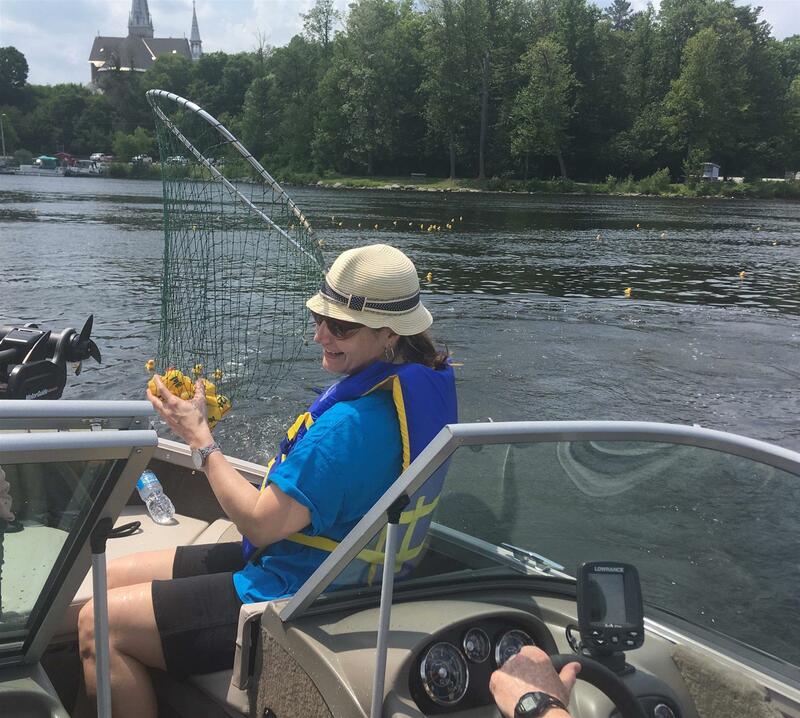 Diana grew up in St. Catherine’s and has relocated herself along with her mother to Arnprior where she has had a Family Law practice since 2011. Diana enjoys travelling and her travels have taken her mainly to Europe. 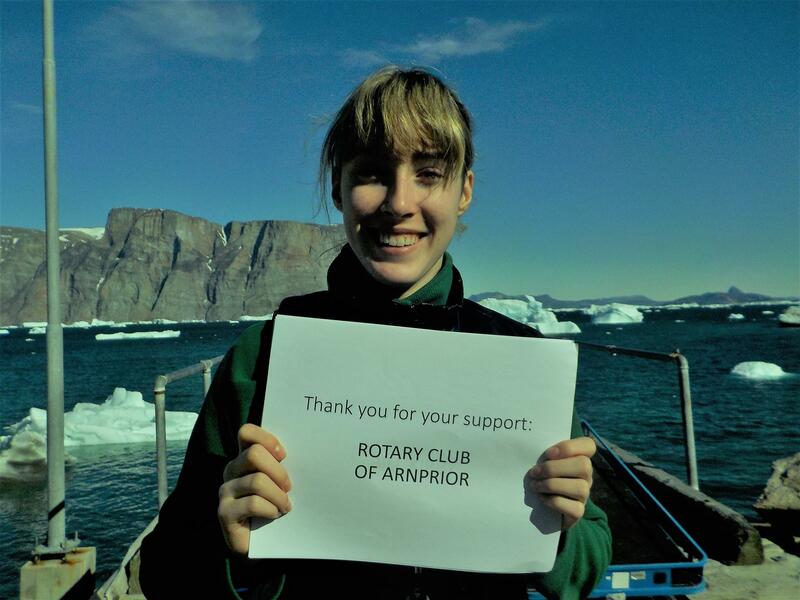 Diana is very encouraged by the global involvement of Rotary and is looking forward to getting involved with Rotary. Bruce presented Diana with the Rotary pin and badge. Bruce will also mentor Diana. In the Spring of 2018, a group of "Me to We" students from Arnprior District High School (ADHS) travelled to Quito, Ecuador and the surrounding areas on an educational trip. The students learned much about life in Ecuador including the interests of similarly aged students and did a number of activities such as planting trees on a farm, constructing a new kitchen for a school, visiting a cacao farm, and, as a highlight, visiting the Amazon rain forest. 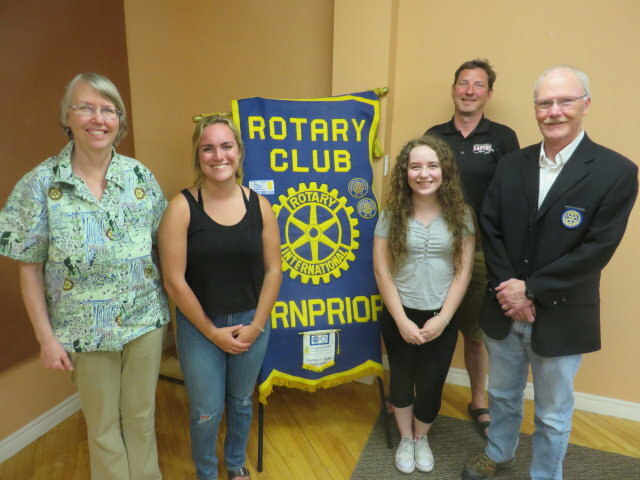 Students Tessa and Kaylee along with their teacher Mark Wroe presented a 4 1/2 minute video of their trip to the Rotary Club of Arnprior on May 14. 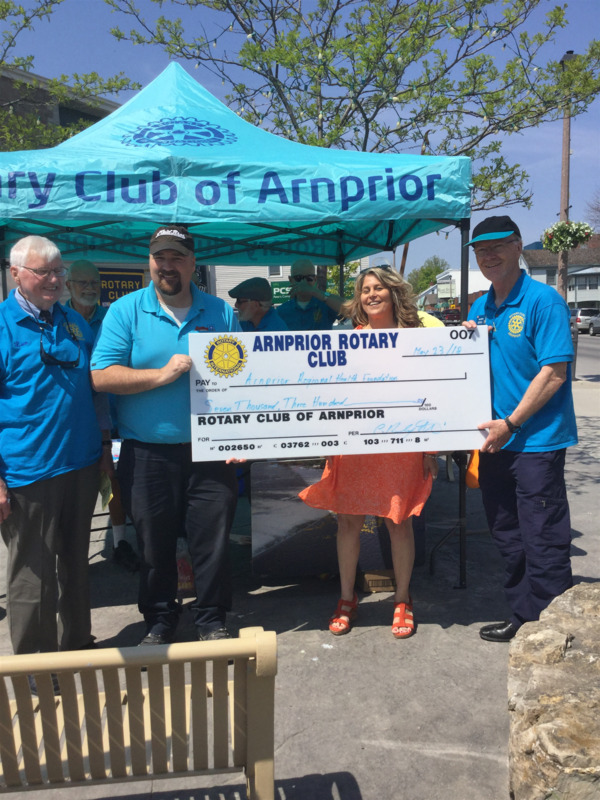 The Club donated $2,200 to the group of students to assist with the trip out of proceeds from the 2018 Arnprior Rotary Cash Calendar fundraiser. Art students at ADHS partnered on the project by providing most of the artwork for the calendar. 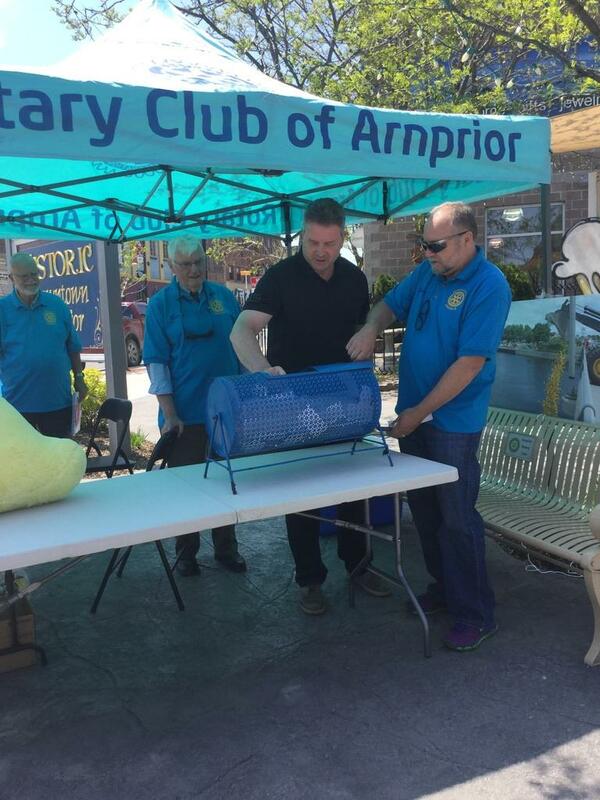 May 23, 2018 was proclaimed “Rotary Day by Mayor David Reid and the Arnprior Town Council. A number of events were organized to celebrate Rotary Day. 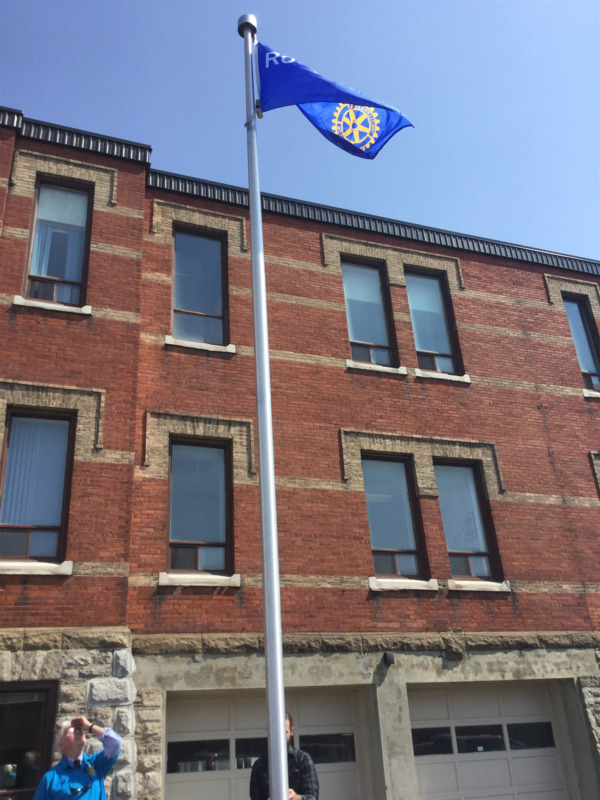 The celebration started with the raising of the Rotary flag at Town Hall by Mayor Reid and Rotary founding member Leo Hughes. 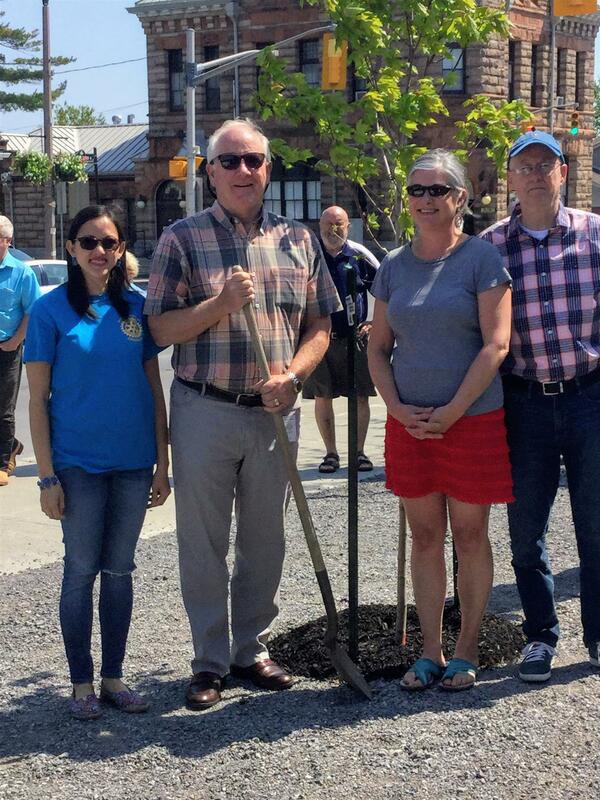 Joining in the special occasion were Town Councillors, members of the public and Rotarians. 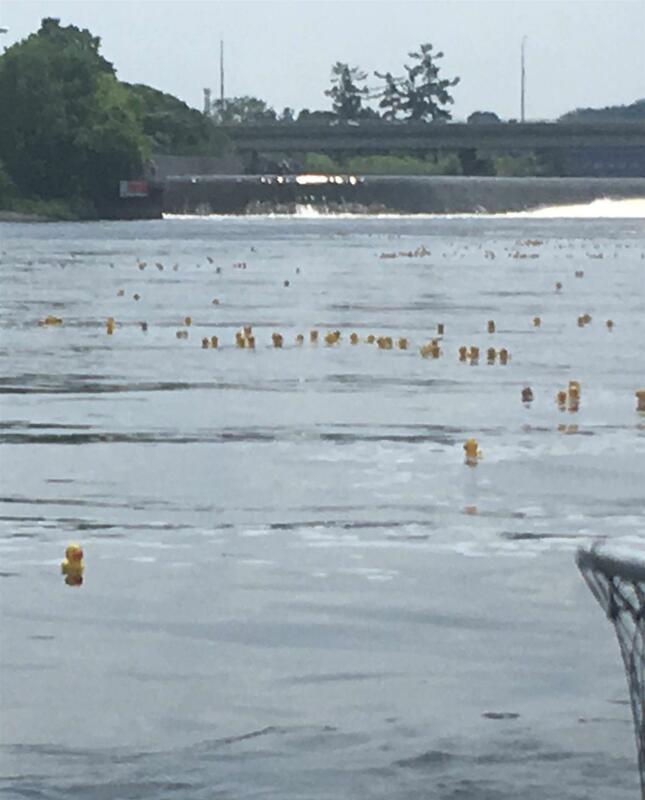 Refreshments and snacks were provided to the public at a Rotary booth at the corner of Madawaska Blvd and John St. S. Rotarians sold Mad Duck Race Tickets to be drawn on Canada Day for a cash prize of $1000 for 1st prize and $500 for the runner up. 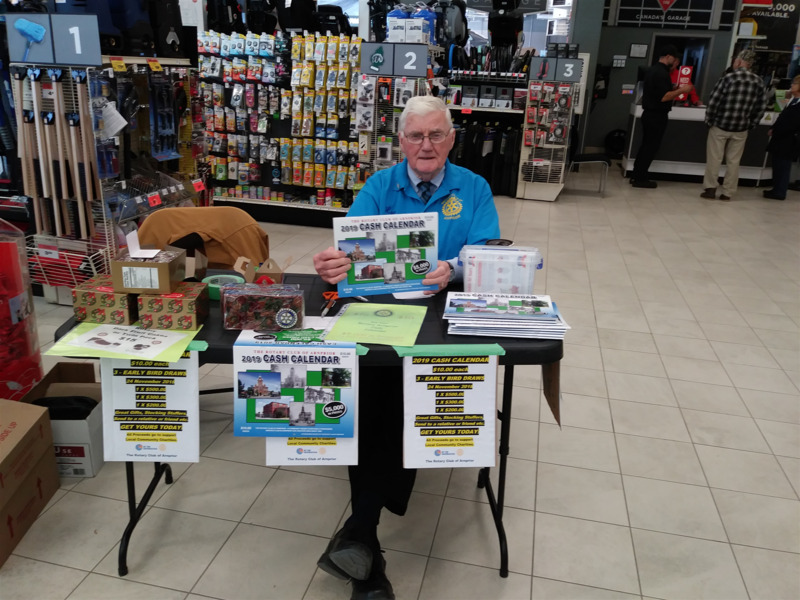 Tickets were also sold for the 2018 Rotary Cash Calendar. 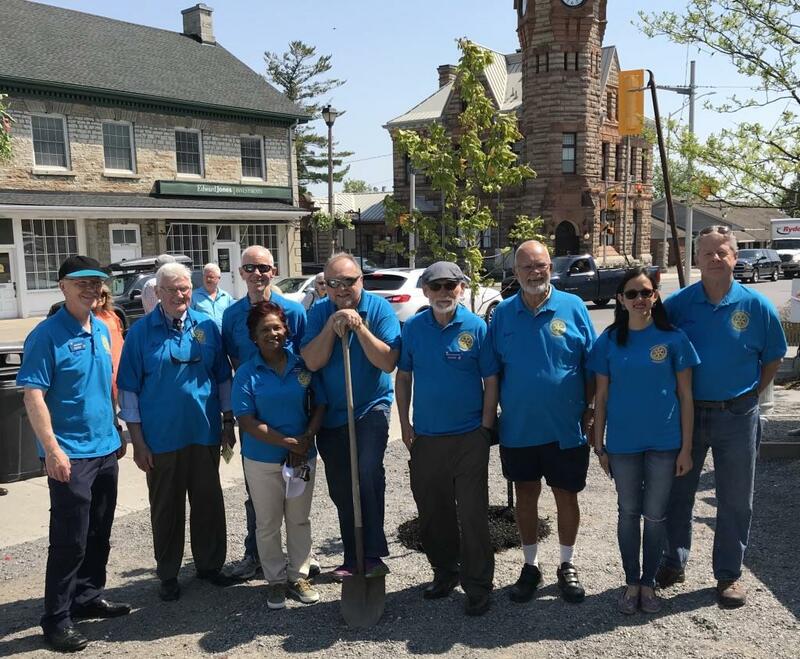 A Tree planting ceremony was held at the corner near the Rotary community benches by the Mayor, Gallery Gift Shop representative Tara Pocket and new Rotary Club of Arnprior members Buena Dejoode and Larry Moher. video taping this event. Paul is a Friend of Rotary. Vintage Crate and the winner was Kim Peters. the Vintage Crate and the winner was Kim Peters. Breakfast ‘N Learn is a monthly education session held on the fourth Wednesday of each month. 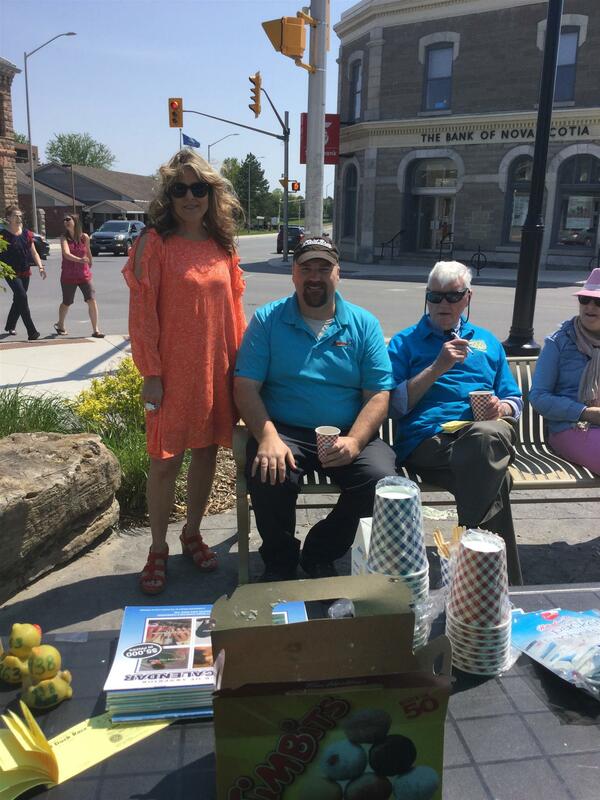 This program is both a social and educational affair organized by the Arnprior-Braeside-McNab Seniors at Home Program. The morning starts with a delicious hot breakfast followed by guest professionals speaking on chosen topics of interest to all Seniors age 55 and over. 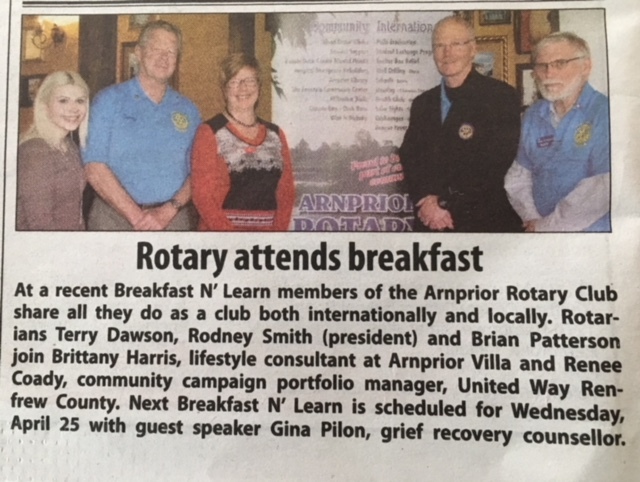 At a recent Breakfast N learn session held at East Side Mario, members of the Arnprior Rotary club spoke about Rotary and what services the club offers both at the local and international level. 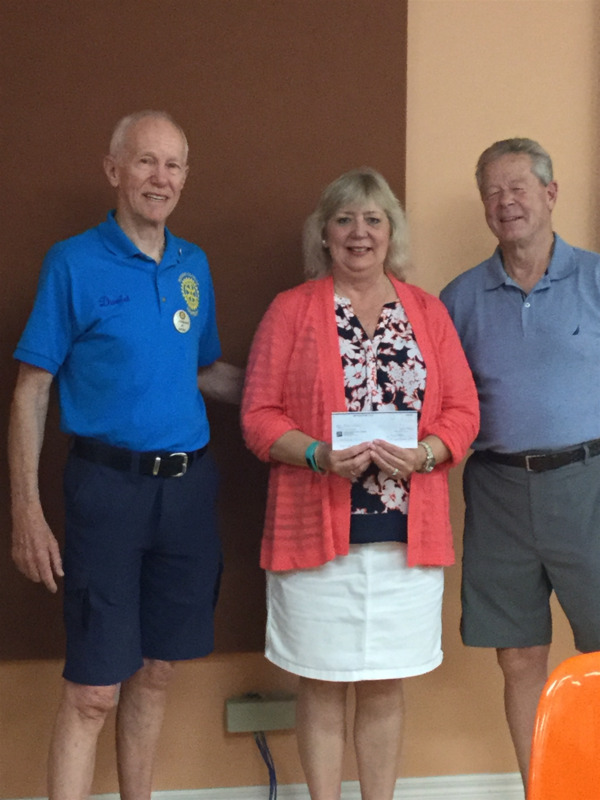 Present at the breakfast were Rotarians Terry Dawson, Rod Smith (President), and Brian Patterson. Cash Calendar February Monthly Draw Winner! 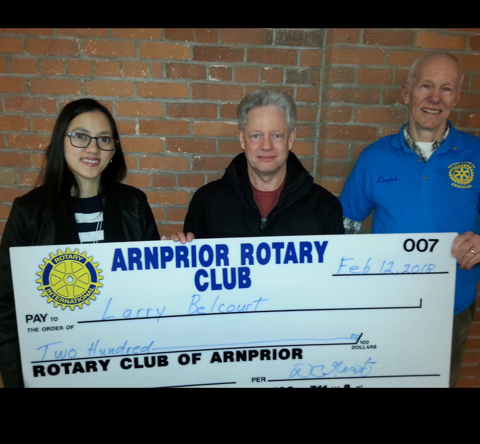 The $200 Cash Calendar February monthly draw was rewarded to Larry Belcourt at the Feb 12/18 Rotary Club of Arnprior meeting at the Kenwood Corporate Centre. 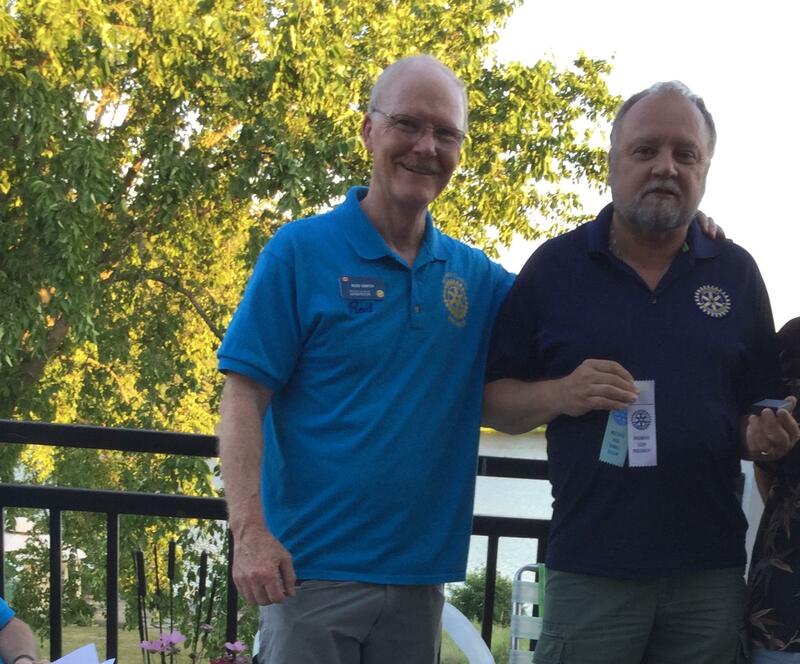 Larry is seen in the middle of the attached photo, flanked by Rotarians Buena Dejoode on the left and David Grant on the right. Larry expressed his sincere thanks to Rotary members for their many good works. 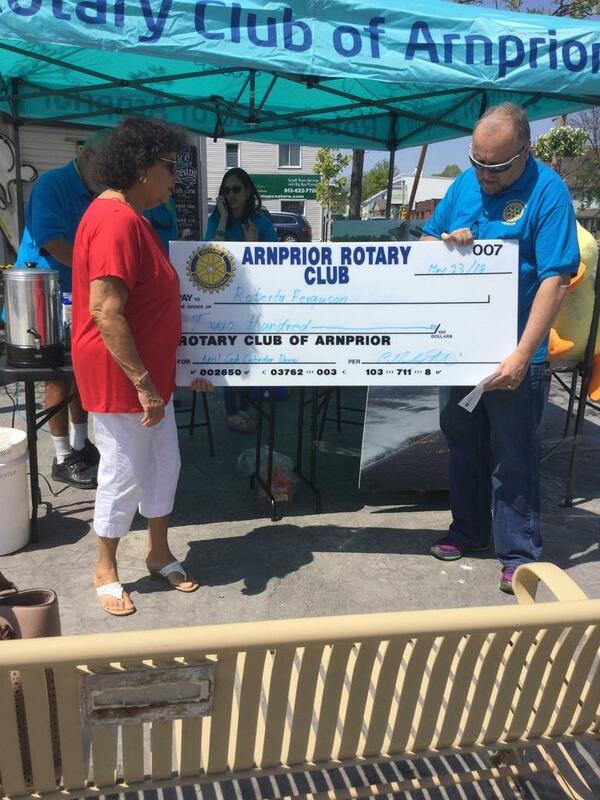 He very generously donated his prize back to the Rotary Club to be put towards supporting ongoing efforts in the community. Together with the $1000 early bird draw and January monthly prizes, this is the third Cash Calendar prize awarded to date. 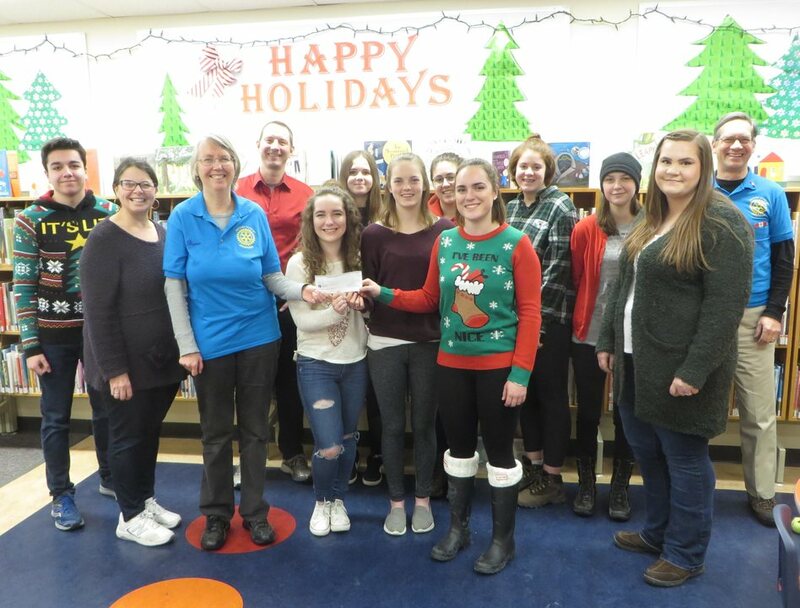 Rotarians Jane & Gerry Peters hand over $2,200 to some of the ADHS students going on the Me to We trip to Ecuador, shown with teachers Nicole White and Mark Wroe. ADHS Students helped with Arnprior Rotary’s 1st Cash Calendar Project which are still for sale at Keller Williams.